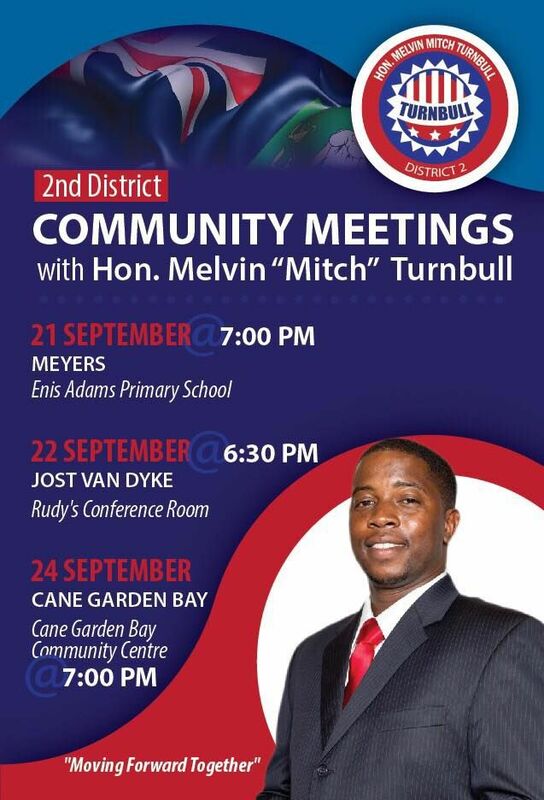 The meeting will take place at the Cane Garden Bay Community Centre at 7:00 PM and will be an opportunity not only for Turnbull to outline his plans for the district, but to listen to the concerns of the people as promised on his campaign trail. “Today brings to a conclusion the third of three district meetings that we had within the first three months of being the District Representative. It is not just for Cane Garden Bay but Cane Garden Bay and surrounding areas. 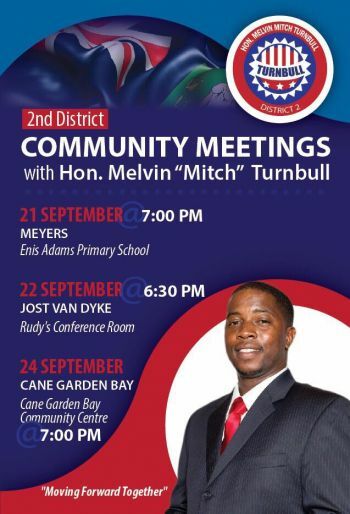 So those that missed the meeting in Meyers [on Monday] they can also come,” Hon Turnbull told Virgin Islands News Online in an exclusive interview. 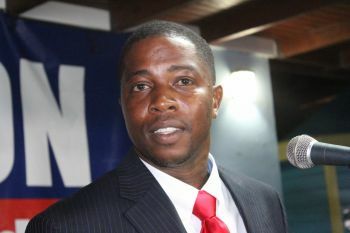 “Tonight is basically to go over the plans that I have as priorities from where I see as the District Representative from information that we gained during the campaign trail and from me being a resident of the district together with addressing some of the immediate concerns as a tourist destination,” he said. He noted that he is going to be listing his priority but pointed out that the list would not be set in stone. Turnbull insisted that he will continue to operate from the standpoint that it is a team effort with residents of the district. “All of the things that we discussed Monday in Meyers and Tuesday in Jost van Dyke are things that not only want to but will accomplish in the first year of being District Representative,” he said. And your post shows your soul desire, JEALOUSY!! Have a seat! No has jealousy for cr**ked politicians on the pulpit. Please! Jealousy?…if he won his seat like an honest person I could understand. He really should be a shame of himself but some people have no shame ‘like many of his supporters’. If Jesus came in their faces today and tell them that their deeds are wrong they would tell Him 'He jealousy'. Shameful People! Elford you and your followers accept yall loss. Mitch is the minister for the 2nd. Get over yall selves. Them didn't win them bought voteso...how much was in your white envelope? Enough for me to further my education and know that the correct spelling of 'votes' is not the way you spelt it. Dummy! Garbage in Garbage out! That's how a computer works. Enough said! see... this is not my opinion expressed. That is NOT shaw!! why is it that one or more people keep taking others' name? I have seen it happen several times. Can't they speak for themselves? It confuses people when a different opinion is posted. Grow up and get your own ID!!! He don't represent me...I will not be there or at any of his meetings. The votes are counted and the people have spoken. GET OVER IT! No the white envelopes, contracts, free bar tabs, and church offering for campaigning has spoken. As for me and my house we will follow the Lord. You'll can follow Mitch to his meetings. what has he done since he got in? Go to the meeting and find out. Cant you read? No me, I want nothing to do with that corruption drama. can’t buy my seat at meetings. Sometimes you have to make a stand for righteousness. Waste of time (WOT) all he is doing is keeping meetings after meetings....He already collected 3 paychecks and what he got to show for that? Nothing… not even hang he head in shame. No Repentance...no Glory! What a shameful generation, why he don’t run them young men down CG Bay of the beach rolling weed right in front of the tourist and residents…run them ‘if he can’. is tooooo arrogant for me! @ you don't got any work to do? Replying under everybody post? Get a d@mn life! Let us brake it down for you all then ...ew era ton gnimoc (fix them spelling words for us). Let me help you 'We are not Coming!' We don't want a man like him representing us... Go pay someone at another district to come to fill the seats. No matter how you spell it. The truth hurts. so let the buyers fill the seats. So you call yourself @ on the blog and talking about @...you also have nothing to do today? He stole Elford idea about putting internet in the community centres and now running with it. He stole his seat too.. what is new? This is why I do not care what he has to say. Mitch is the man. Love him off. At least its not Fraude Cline. Paging Archibald Christian, Marlon Penn, Delores Christopher, Alvera Maduro Caines, Hubert Oneal you got your constituents looking like fools for voting for you all. At least say something, anything at all or donate your pay checks to charity and stop leeching off of the ignorance of the people that voted for you. Have any more of those white envelopes to give out at these meetings? You'll go get ready for you'll meeting it's getting late. I am going to watch some tv.